Home BIFF BJMP Eventful Events Government News Terrorist 130 inmates freed by armed men at North Cotabato provincial jail. 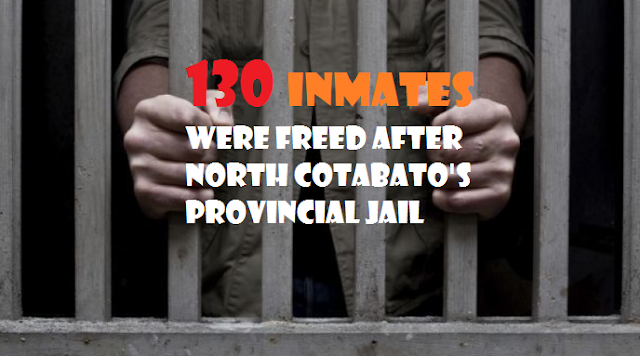 130 inmates freed by armed men at North Cotabato provincial jail. North Cotabato provincial jail was attacked by armed men to free inmates including high profiles. Based from Provincial Jail Warden Supt. Peter Bongat, during the exchange of fire the jail officer were killed while an inmate was injured. Salik Capalla, an inmate also said that brownout occurred at 12:30 a.m. then a series of gun bursts. The attacked was allegedly made to free high profile inmates including the BIFF Bangsamoro Islamic Freedom Fighter Salik brothers and Camayo brothers at cell NO. 8. The attack is not new to the BJMP or the Bureau of Jail Management. In reality, the bureaus sought augmentation force from the military and the police wherein augmentation force stayed until Tuesday when they were pulled out.